Juventus' Cristiano Ronaldo celebrates at the end of the match. 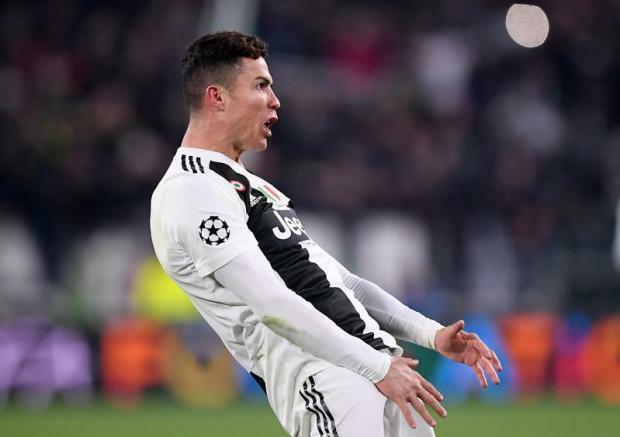 Cristiano Ronaldo was fined €20,000 by UEFA on Thursday for mimicking Atletico Madrid coach Diego Simeone's crotch-grabbing celebration in Juventus' Champions League last-16 win last week. Argentinian Simeone was also fined €20,000 by UEFA for his celebration, with European football's governing body following suit in Ronaldo's case. Ronaldo, who returns to Portugal international duty after a nine-month absence later on Thursday, has scored 24 goals for Juventus since signing from Real Madrid for €100 million last year.